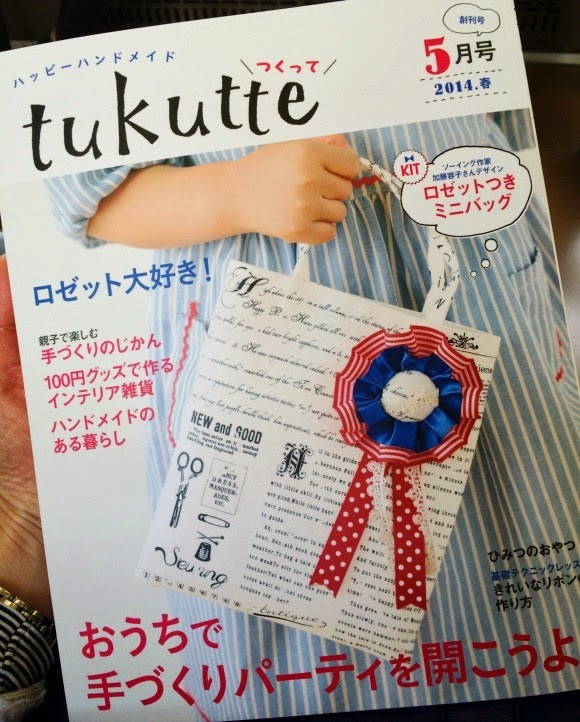 I am back blogging! I didn't manage to spare some time for that last week, I was way too busy sewing and embroidering new items for the Christmas fair last Friday. 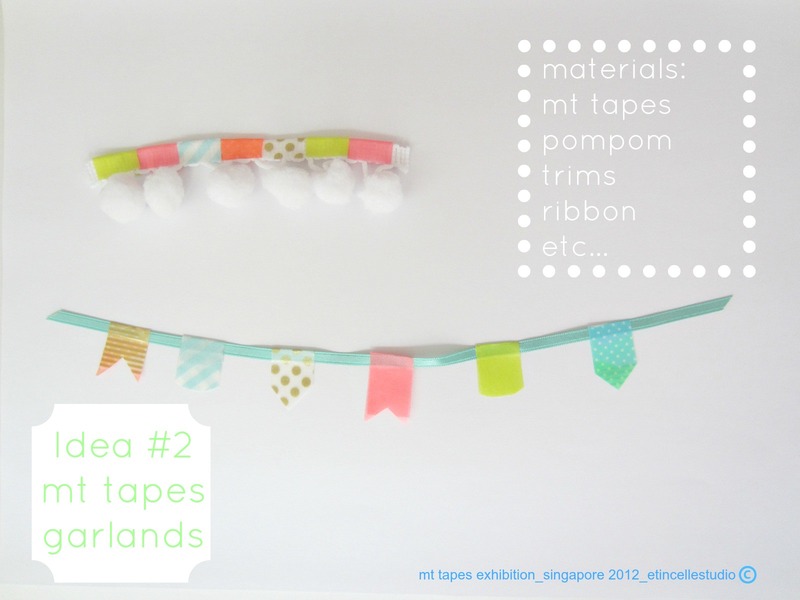 I will share some pics of my table later one, but right now I only want to talk about the MT tapes exhibition that is happening in Singapore this week. 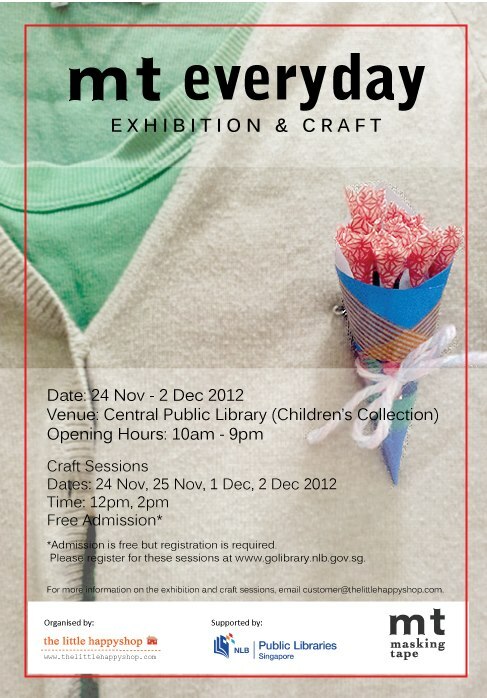 It launched last Saturday at the Central Public Library and showcases the work of many artists and crafters (including myself!) 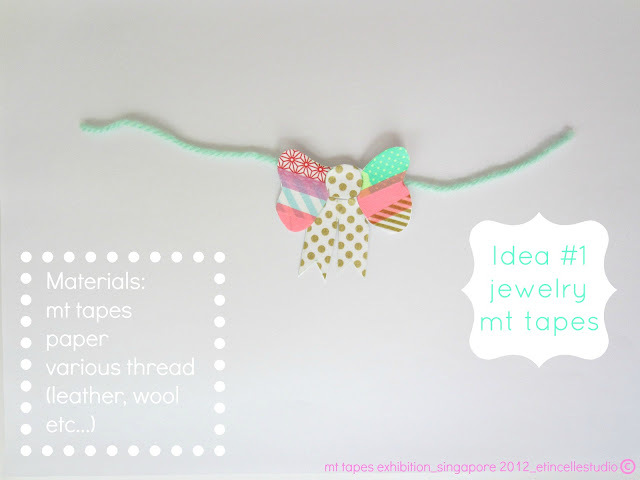 who have come up with various creative ways to use MT tapes in the daily life. I will share my work on a couple of posts as I have a lot of photos to share with you. #1 To create accessories/ jewelry using mt tapes, paper and various types of thread - I love accessories! 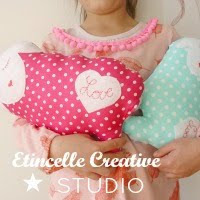 #2 To create a multitude of garlands using pompom trim, ribbon, lace trims etc... - I love garlands! 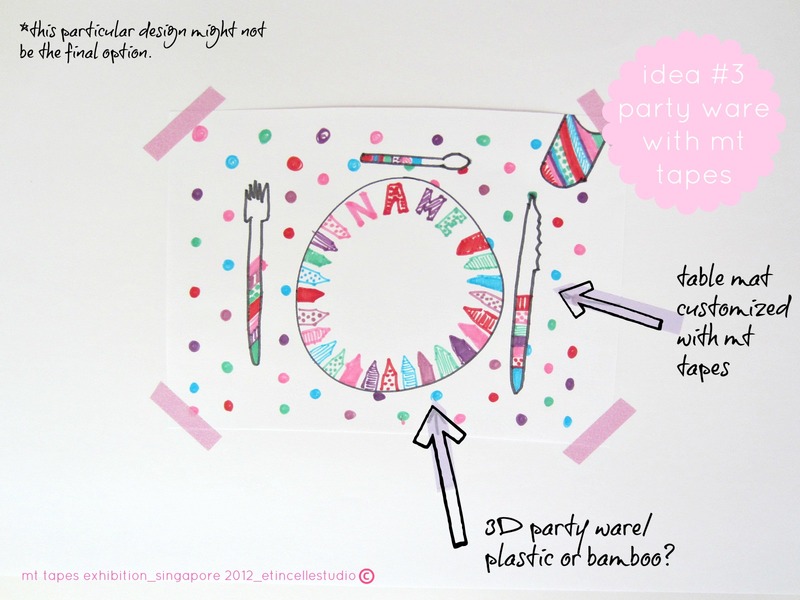 #3 To create a party set decorated with mt tapes - I love party planning! Which one would you have like me to work on? Craft sessions are being held at 12pm and 5pm on the weekend, please register to participate! Free admission but registration is required.